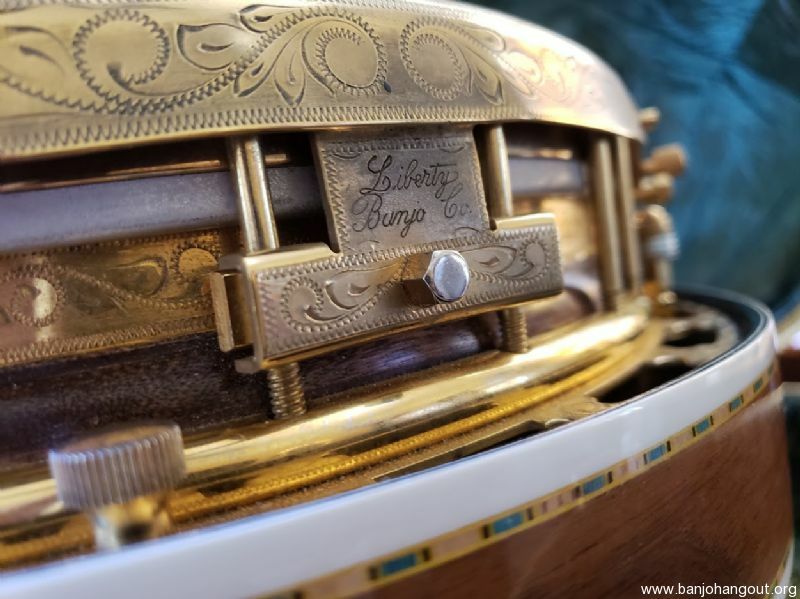 This is a hard to find 1975, original owner, gold plated and engraved Liberty Banjo Style 5 replica with a wonderful pre-war tone and one of only two ever built by Liberty. According to the builder, there were maybe six to eight Liberty Mastertone replicas built, but only two style 5’s. 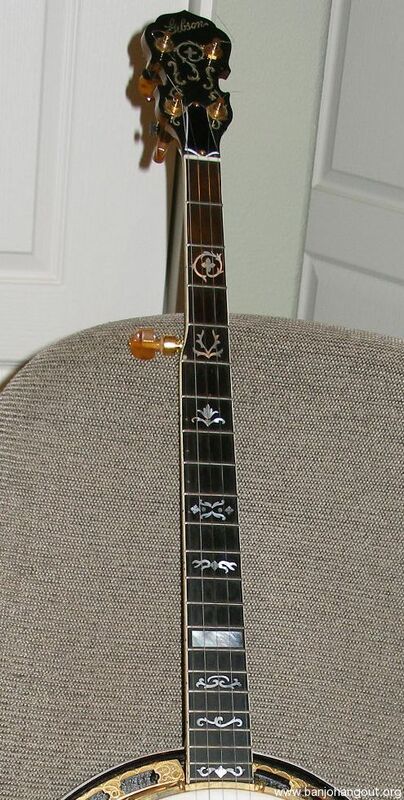 Although it does have the Gibson logo on the peg-head, Liberty agreed to cease copying the Gibson logo and to redesign them as "Liberties”. The tone ring, as Flesher describes it, is a clone of a prewar ring both in dimension and in formula. 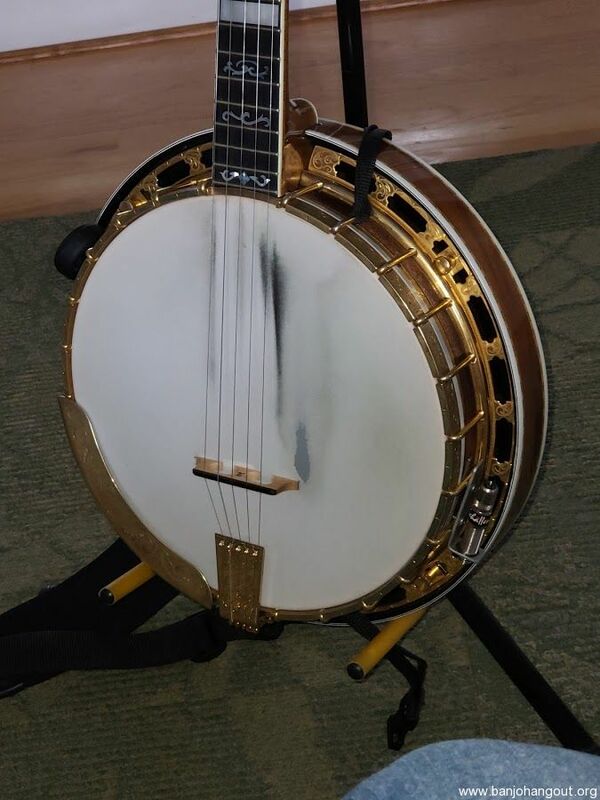 This RB-5 replica has a walnut neck and resonator, ebony fingerboard (originals were rosewood) with wreath style inlays, back-of-peg head inlay and engraved gold-plating. 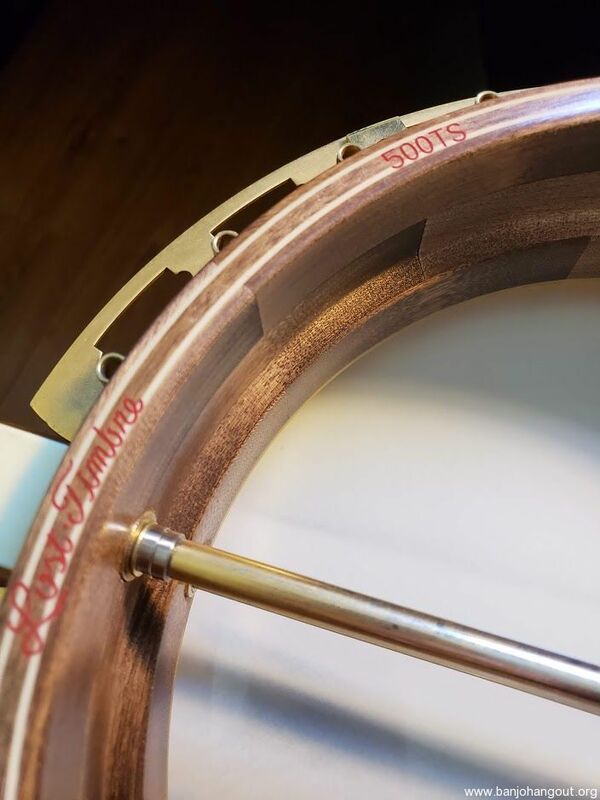 It is professionally set up using a custom made ¾” compensated 150 yr-old submerged maple Elite Z-bridge. 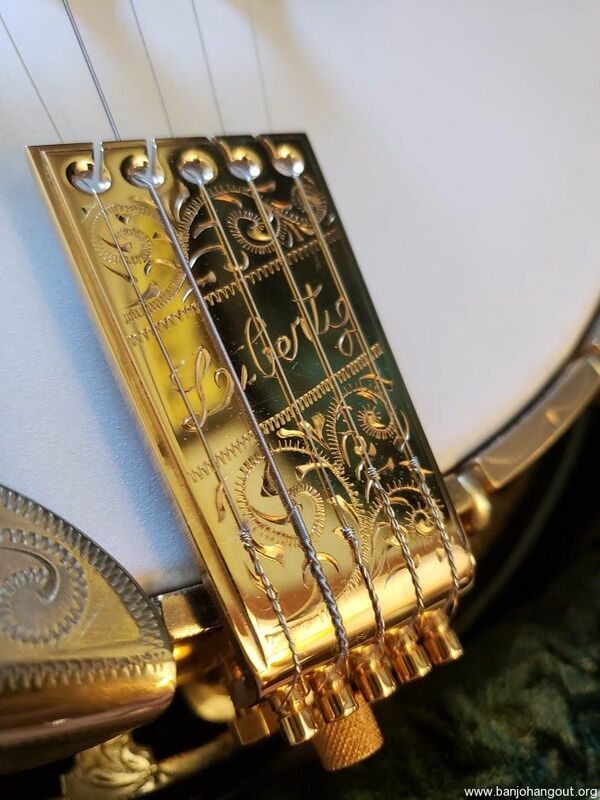 It has the original Liberty tuners, a Waverly planetary 5th string tuner, and a gold plated Kershner type tailpiece custom engraved by Nick Timmons (formerly a Gibson engraver) to match this banjo. 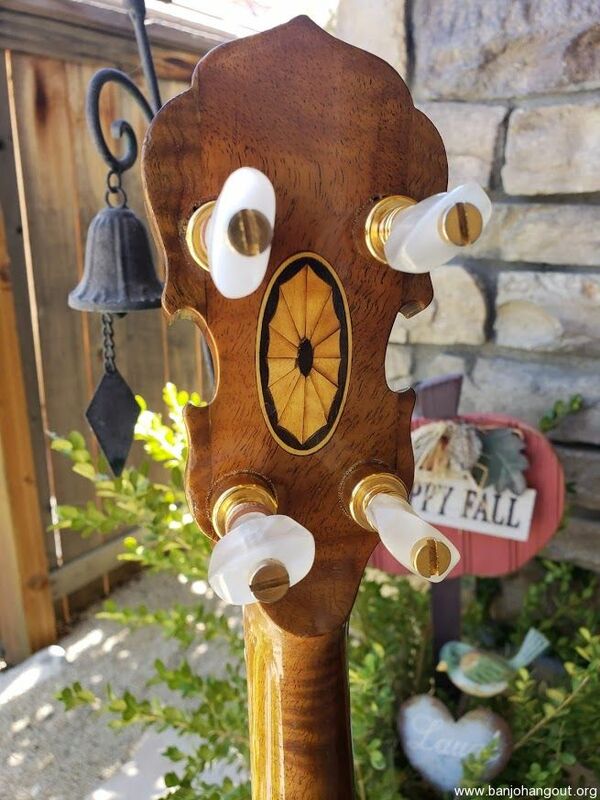 (The original 5th string peg is also included.) 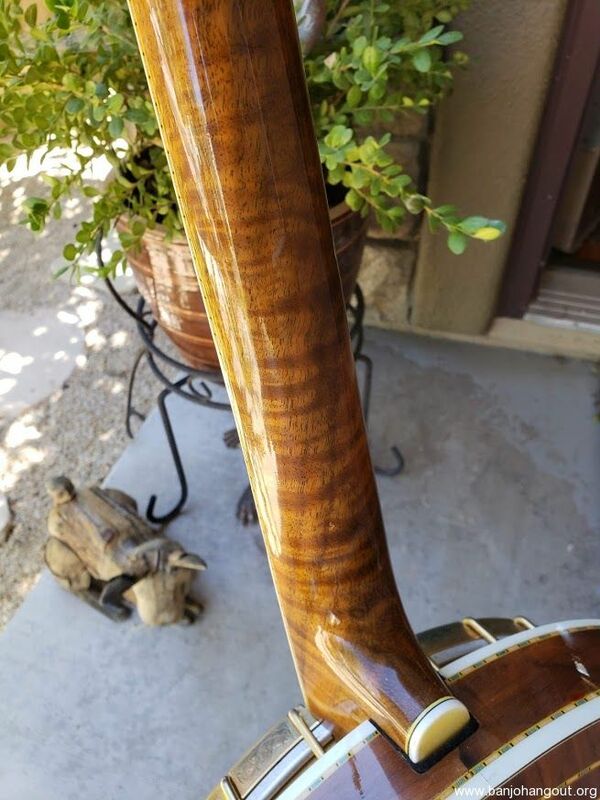 RR spikes are installed just right at the 7th through 10th frets and a new hard shell case is included. 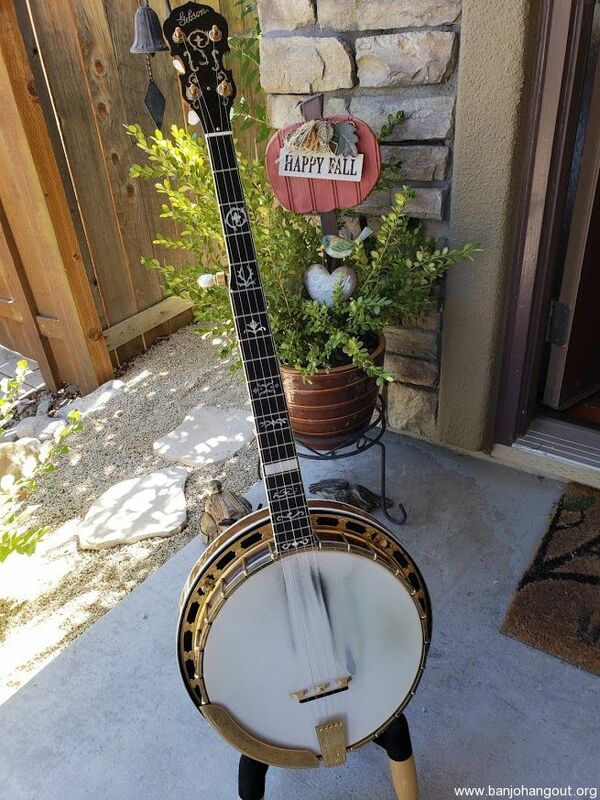 In 2004, the banjo was fitted with a Lost Timbre block rim by Tony Pass, but the original rim is included. 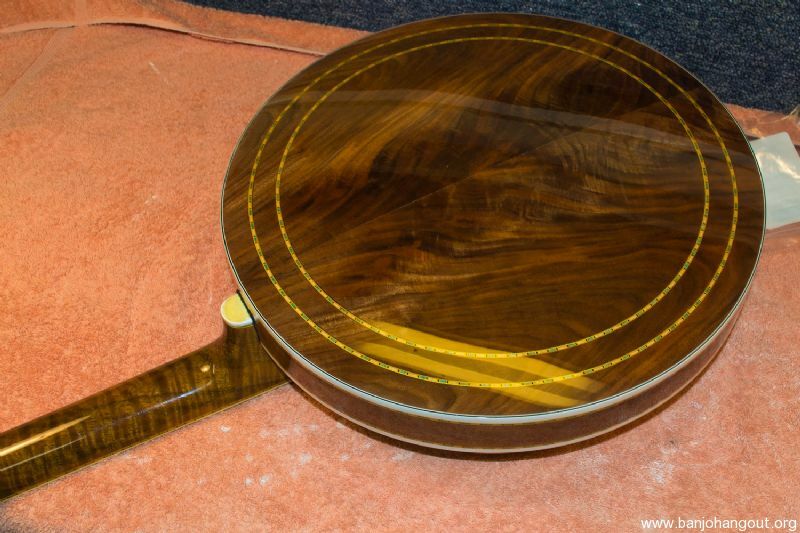 The “Mastertone” MOP block at the 15th fret was never inlaid and is ready to customize! 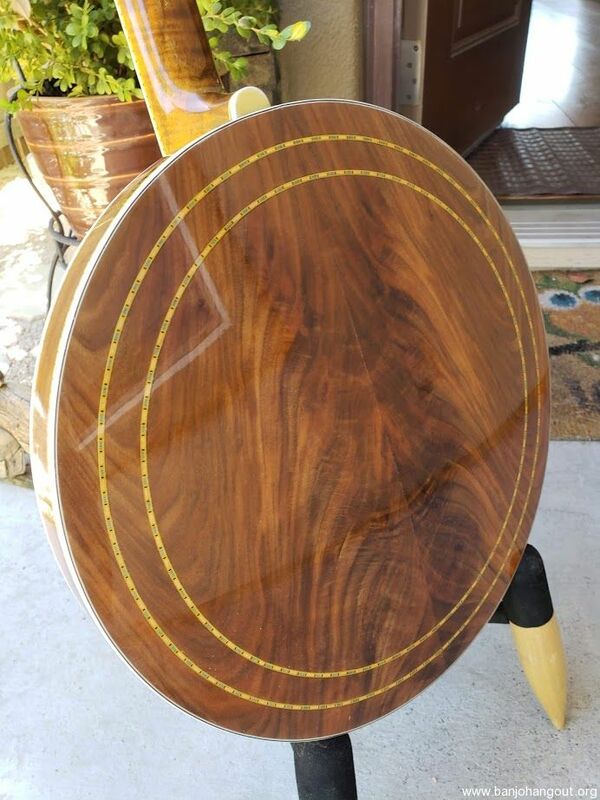 A fret job and inlay overhaul, along with an amazing refinish of the walnut resonator were performed one year ago by a master luthier.